Outgrowing themselves in a community. In recent years, Kindness for Kids has established ten projects that are offered annually. During school holidays, children and their siblings between the age of 9 and 16 meet at our camps in order to experience fun, games and joy of living and to strengthen their self-esteem. Experiential education is the main approach at the holiday camps. It aims to make the children face and manage new challenges, to reflect about the success and learn from it for the future. The camps provide the kids with numerous different adventures such as night hikes, high rope courses, theater, music, painting, handicrafts und much more. 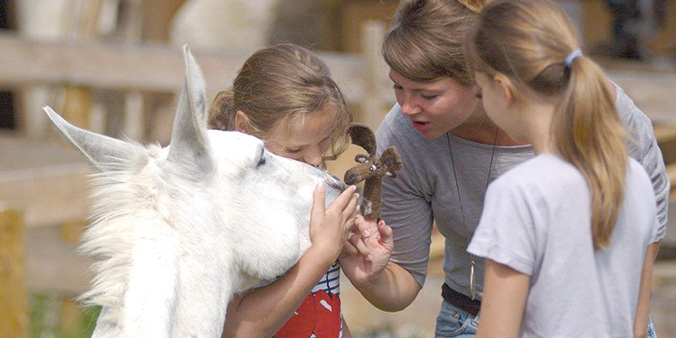 Since 2012, every year during the summer holidays, Kindness for Kids organizes and funds one holiday week for up to 12 children with rare diseases on Irmengard Farm, owned by the Björn Schulz Foundation, at Lake Chiem (Chiemsee). 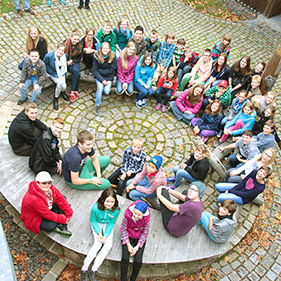 Since 2004 and in cooperation with the German Childhood Cancer Foundation, Kindness for Kids has organized the annual ‚Waldpiratencamp‘ in Heidelberg. Up to 45 kids - with 10 of them being sent from Kindness for Kids - spend one week with fun and joy and have complete freedom to move about the camp grounds. Every year in spring or summer, seven children set sail, accompanied by two staff members of Kindness for Kids as well as the ship’s crew. 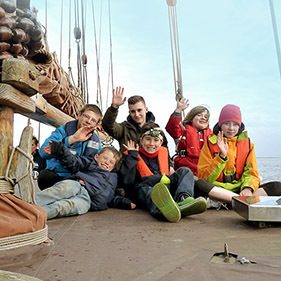 The galeass ‚Fridthjof‘ awaits the kids at Lübeck harbor, who will experience an unforgettable five days aboard, with fun, games and interesting excursions. 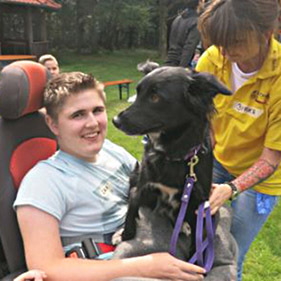 The four-day stay at the ‚Waldpiratencamp‘ in Heidelberg has been organized especially for kids suffering from muscle dystrophy and other neuromuscular diseases. The six-day holiday is for teenagers with various muscular dystrophies and similar conditions and was offered for the first time in 2017. It takes place on Irmengard Farm, owned by the Björn Schulz Foundation, at Lake Chiem (Chiemsee).